Chenin Blanc is one of the more versatile wine grape varieties, and it is one with a long history. It was first cultivated in France nearly 1,300 years ago and is agreed to have originated in the Loire Valley, where its best examples are still planted and grown to this day. The fruit has a high acidity, making it a good choice for making a number of styles of wines. They can be particularly sweet dessert wines, full-bodied whites, or made into sparkling varieties. 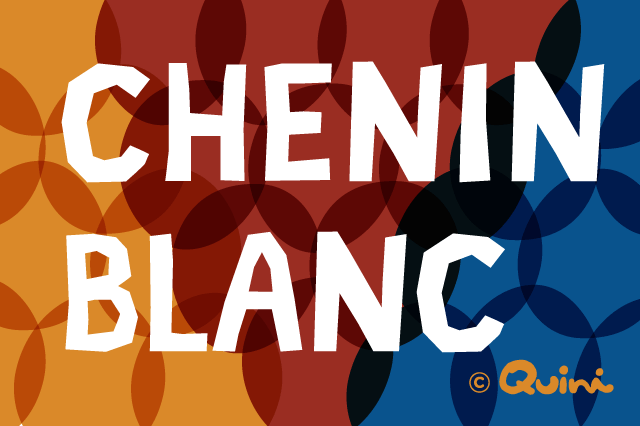 Through the years, the prominence of the Chenin Blanc has seen its high points and its lows. The first mention of the varietal can be traced back to 845. It has been grown under a number of names, including Pineau, Pineau d’Anjou, Pineau de la Loire, and Steen. By the early 20th century, Chenin Blanc had lost a bit of its earlier glory, but since the 1980s, it has been getting far more attention, experiencing a revival among wine connoisseurs who can appreciate its noble heritage and its ability to complement a broad variety of blends. It is possible to craft these grapes to any desired level of sweetness. They can be made very dry, or they can be made bursting with sweet flavour. It is possible to achieve these results because Chenin Blanc responds differently to various winemaking styles and techniques. It is reminiscent of Chardonnay in this regard, but the two do not share any of the same genetics. This variety buds early but ripens late. It is a naturally high-yielding varietal, making it a labor of love for growers who want to preserve all the best qualities of the fruit. It is also particularly susceptible to frost, another challenge growers face. The most common places to find Chenin Blanc is near the cities of Touraine and Angers. The wines produced in that region have a distinct mineral quality and an intense flavour with hints of green apple. There are also varieties vinted in the area that are dry or semi-dry and have a much more tropical, honeyed character. This is one grape that can keep an enthusiast’s wine journal busy for quite some time, as it has so many diverse expressions in wines. Some of the best expressions of Chenin Blanc from the Loire are the Botrytis-affected (aka “Noble Rot”) varieties from the cooler valley areas. The grapes in those vineyards take on a particularly sweet flavour with a peachy, baked apple character with just a hint of quince. Botrytized varieties are also lighter on average, but they age as well as a sweet Bordeaux and have even been known to last longer. A good Vouvray, for example, takes about 10 years to reach its peak but will age well for a century or more in the cellar. Today, Chenin Blanc has found a new home in the vineyards of South Africa. In fact, South Africa has officially surpassed France as the largest grower of Chenin Blanc grapes, and it holds the title of most planted grape in that country. The variety isn’t particularly new to the area. It first arrived there in the mid-1600s and developed a fast following for its acidic qualities and highly productive nature, even in particularly hot climates. In those days, the grapes were used as a base spirit for making brandy and spent many years as part of a number of bulk wine blends. Today, the attitude toward Chenin Blanc in South Africa has shifted, and more attention to quality is being afforded it. The wines produced there tend to be particularly rich with distinct tropical characteristics, including melon, banana, guava, and pineapple. California also grows more Chenin Blanc than France today, but most of the grapes go into mass-produced generic blends. Argentina boasts a decent number of Chenin vineyards, and there the grapes are often blended with Torrontes or Chardonnay to craft wines that are light and which have characteristics that distinguish them to the area in which they are vinted. You can also find Chenin Blanc vines in Austria, Chile, and Canada in smaller numbers.